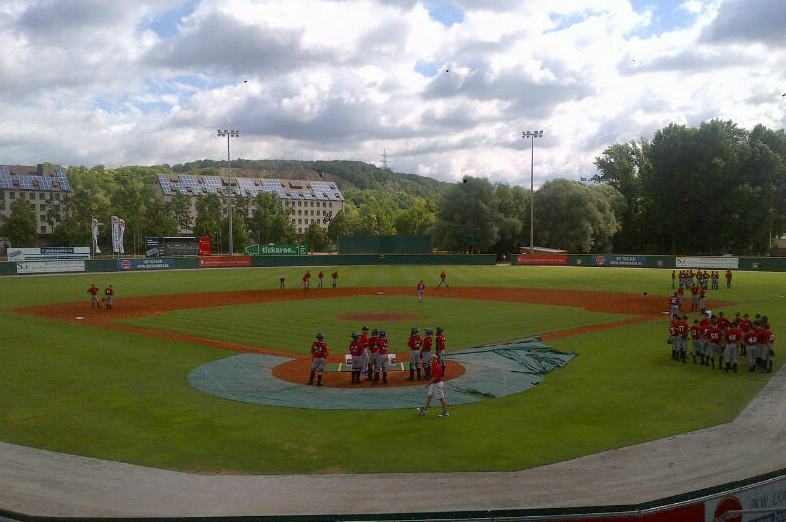 The 9th annual MLB European Academy opened today in Regensburg, Germany at the Armin Wolf Arena. 50 of Europe’s best young players are attending the Academy, including recent MLB signings Artur Strzalka (New York Yankees), Sven Schuller (Los Angeles Dodgers) and Julsan Kamara (Philadelphia Phillies). The MLB European Academy will run through August 16, putting the players through a Major League style “Spring Training” program which includes a full schedule of games. The Academy is being run by top Major League instructors including Hall of Famer Barry Larkin and former MLB All Stars Dale Murphy, Bruce Hurst and Steve Finley.